Hello friends! How is your weekend going? I meant to write this earlier today, but the day went by way too fast, and here I am, it's almost 9:00 pm and typing and watching Charlie Brown, oh my, I am having so much fun! Last night, I decided to craft to calm down the busyness of my day and it worked perfectly. I found this super cute sketch from CAS(E) this Sketch and decided to give it a try, plus I had in mind the Watercolor Challenge from Where Creativity Meets C9 using my new stamps and dies from Concord & 9th. First, mist a piece of watercolor cardstock with clean water, then add drops of Spectrum Sparkle (Spun Gold, Sage, Olive Jade, Hearthside) and mist again, set aside to air dry. Cut a piece of watercolor cardstock and create a wash background with a Aquamarine Spectrum Aqua and Teacup Spectrum Noir Sparkle, here I used a lot more water since I wanted it not intense. After the color piece is dried, die-cut the JOY word. After your background piece is dried, adhere Gold and Silver Metallic Tape, these tapes are amazing and made in the USA! Die-cut snowflakes from white cardstock and adhere them to background piece. Then, stamp "love, peace" using "Perfectly Penned Set"
Make a card base from Ultra Premium White Cardstock. A2 size, top folded. Cut a panel from Candy Red Shimmering Cardstock, 3.75" x 5" and adhere it to card front. Cut a panel from Watercolor paper, size 3.5" x 4.75", stamp bird and berry leaves (on an extra piece of watercolor paper) from Christmas Visitors Stamp Set in Black StazOn Ink. Color images with Spectrum AquaBlend Pencils, these are the ones I used: Earth, Stone, Mustard, Carmine, Clementine. Stamp sentiment from Traditional Christmas in Versamark Ink, then add gold embossing powder and heat set. Cut out berry leaves and adhere them to card. Created a washed background with Sea Breeze Spectrum Sparkle Pen, also add Clear pen to leaves. 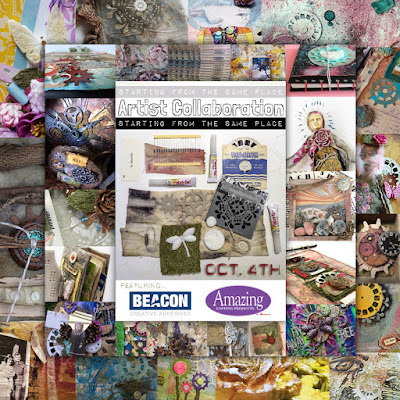 Don't forget that Crafter's Companion has 25% on your orders until October 31st!!! Great time to get your markers, pens, stamps, cardstock and more!!! Hello friends! Today I have a Christmas card for you. I am trying to have my Christmas cards done before Thanksgiving and have enough to send to my family and friends, this one is easy, elegant and has the metallic factor that everyone will love. Apply 1/4 Green and Gold Metallic Tape on a piece of cardstock and die-cut pieces. 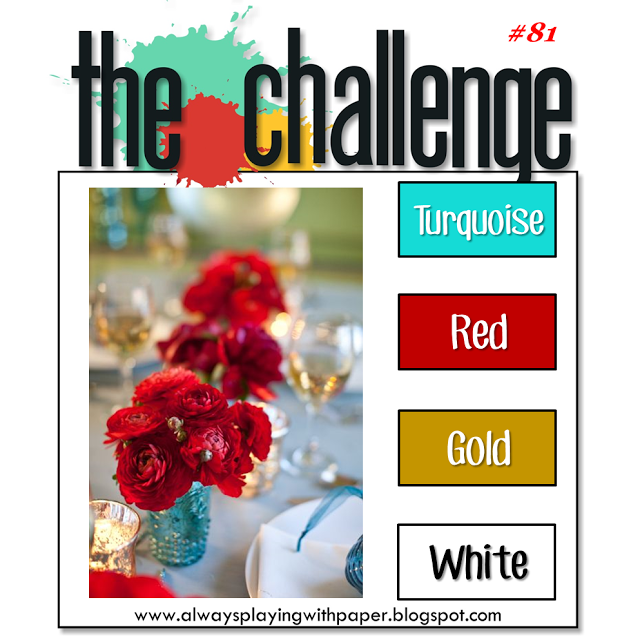 I used dies from Pretty Poinsettia Die set. Cut a piece of white cardstock, 4" x 4"and adhere Red Metallic Tape in all sides. Stamp image from Christmas Visitors set in Distress Ink, then color it with Spectrum Noir AquaBlend Pencils: Kiwi, Deep Forest, Bottle Green, Rose, Violet, Strawberry, Fossil Grey, Dove Grey, Aqua. Trim image to 3" x 3" and ink all edges. Add piece to 4" square piece with foam tape. 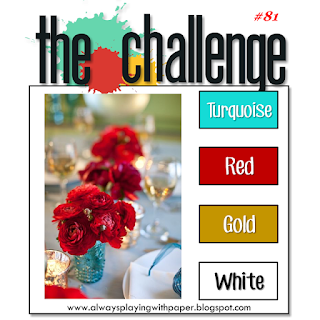 Create a card base 5" x 5", adhere the panel with the red border and then add the colored panel. Stamp sentiment from Season's Greetings set on a piece of vellum in Versamark Watermark ink, add Gold embossing powder and heat set. And before I leave, Crafter's Companion is joining the birthday celebrations from our sister Crafter's Companion UK!! And we have New Products plus the entire site is with a 25% OFF!!! Hello friends! Happy Wednesday to you all. Today, I want to share with a set of Thanksgiving cards I made using Latina Crafter stamps. This Pilgrims set is adorable and perfect for Thanksgiving!! I made 2 in Spanish and 2 in English. Stamp image on a piece of Watercolor Paper in Black Stazon Ink. Color images, here I used Spectrum AquaBlend : Brunette, Cherrywood, Oregano, Cypress, Ebony, Carrots, Aqua, Cantaloupe, Dove Grey, Oak, Charcoal Brown, Presto Green, Spruce, Sky Blue. Then I added a bit of shadow using SPectrum Noir Colorista Pencils Noir Colorista. Then, die-cut front using Stacey Dies. Create card bases, cut stripes of dot paper, this one is Lunares. Then, add the colored panels. 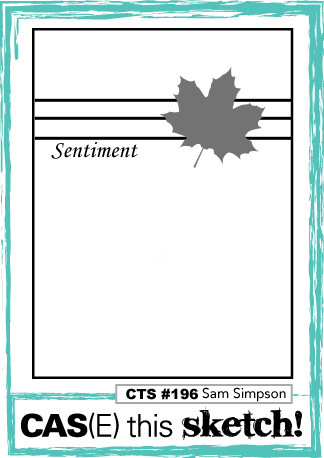 Stamp sentiment on Vellum in Versamark Ink, add Gold embossing powder and heat set. Add them to card. Die-cut leaves in Gold Cardstock and add them to corner of card. Finally add a red pearl to the left corner. I decorated the inside of my cards as well. I cut a piece of Ivory Cardstock, 3.75" x 5", added a stripe of the dot paper and super thin Gold Metallic Tape (love, love, love this tape). Stamp pumpkin from "Con Gratitud set" in Memento Tangelo ink and sentiment in Memento Tuxedo Black. Hello friends!! Hope you are having a great day! I want to share great news with you, if you missed your chance to get your Gemini over at HSN, well this is your chance! Crafter's Companion has them in stock, get yours before they are gone!! And not only that, with your purchase, you will receive a coupon for a 30% off of dies!! So, to celebrate I want to show you a project I made using my Gemini and brand new released dies. Start creating a card base 5" square using Yellow Pearl Shimmering Cardstock. Cut a panel from Candy Red Shimmering cardstock, 4.5" square. Adhere to card base. 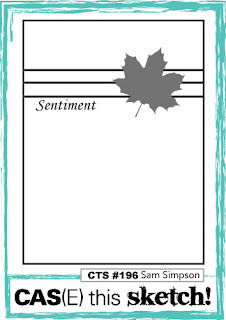 Stamp sentiment in red ink, sentiment from Sentimentals Stamp Set. Add leaves to card, add pearls too. Hello friends! Happy Tuesday to you all! Sorry for the unexpected break, dealing with joint pain after doing a lot of yard work, it's taking me more time than I expected, but feeling better sooooo I am sharing with you this card I created using this beautiful card from Concord & 9th called "You are enough"
For the flower, I stamped it on a piece of watercolor paper in Versamark Watermark ink, then colored it with Spectrum Noir Sparkle pens, I wish the picture could do more justice. For the background I used again my Spectrum Noir Sparkle pens and added few drops of ink direct on a piece of watercolor paper, here I used Peacock Blue, Aquamarine, Hearthside, Biscuit. I stamped the sentiment in Ken Oliver Crimson Click It Ink. Finally I added a strip of gold metallic tape. 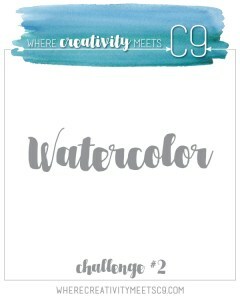 and Where Creativity Meets C9 challenge "Watercolor"
Starting from the Same Place Blog Hop!! Hello friends!! 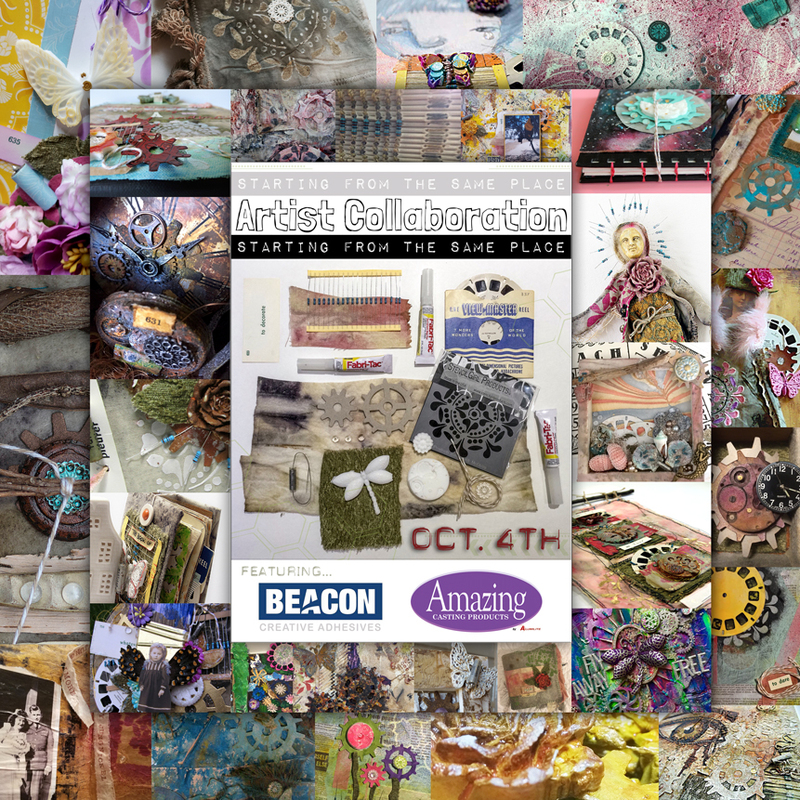 The day has finally arrived, the Artist Collaboration "Starting from the same place" Blog Hop is here. First I want to say Thank you Tina for the wonderful idea and organizing this Artist Collaboration, this has been a project in the making since July, so today you are going to enjoy projects from artists not only from the USA, but only from around the world!! I have seen little peeks of the projects and they are amazing! So, everybody started with the same package of products and the only rule was to use everything that was given. You could add other products if you need it. The picture below is the starting package. So, now let's share a bit about my project. At first I didn't know what to do, well I knew I wanted to work on a canvas, so I had a little chat with my crafty sister Lee Ann and she said, make something with flowers and then the idea was born! This is the final piece, I think it looks much better in person! Hope you like my canvas, I would love to hear from you.